First Presbyterian Church of Middlesborough, located on the southwest corner of North Twentieth Street and Edgewood Road, was organized on August 4, 1889,( the same year the City of Middlesborough was incorporated) in a building on Cumberland Avenue between 21st St. and 22nd St. It was affiliated with the Presbyterian Church in the United States. The charter members were Capt. R.F. Patterson, Dr. W.H. Ketron, D.A. McAfee, Mr. and Mrs. A.D. Campbell, James Lewis Patton, N.J. Edwards, John F. Cunningham, and Rev. Henry Miller. The first Session members were Patterson, Ketron, and McAfee. The first Deacon was Patton. From 1889 until 1912 the church occupied a frame building on the present location. The land, building plans, contractor, and materials were donated by Alexander Alan Arthur, one of the principal founders and the General Manager of the Middlesborough Town Company. Labor costs were to be incurred by the church. That building was sold to the Baptists, who moved it to Greenwood Road. The present brick building has been occupied since its completion June 1913. It is characterized by English architecture. Since its organization, the Church has been active without interruption. The very first manse was located on West Cumberland Ave. (exact location not determined). Eventually it needed renovation, during the process a fire broke out doing extensive damage. Then, a house at 27th St. and Cumberland Ave. served as the manse from 1928 until 1955 when church member H.C. Hurst offered to sell his home at 400 Gloucester Avenue to the church. 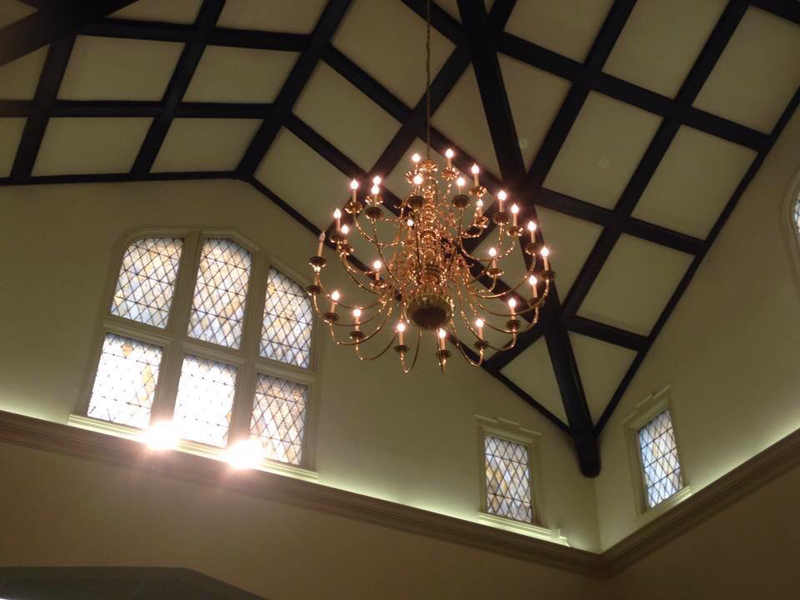 It continued to be the home to First Presbyterian ministers until it was sold in 2011. The church was bicameral with Elders and Deacons until June 1983 when the congregation adopted the unicameral system. The Trustees and Deacons remain as a committee of the Session. At one time there were organizations of Men of the Church and Women of the Church. There was a short-lived attempt to revive the Women’s group from 2010-2011. 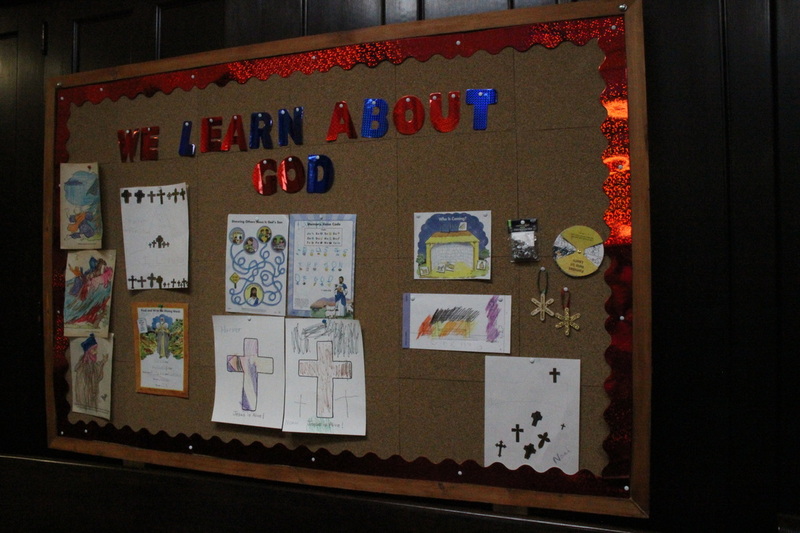 The Church was incorporated on August 1, 1976, and its Bylaws were adopted on January 9, 1977. 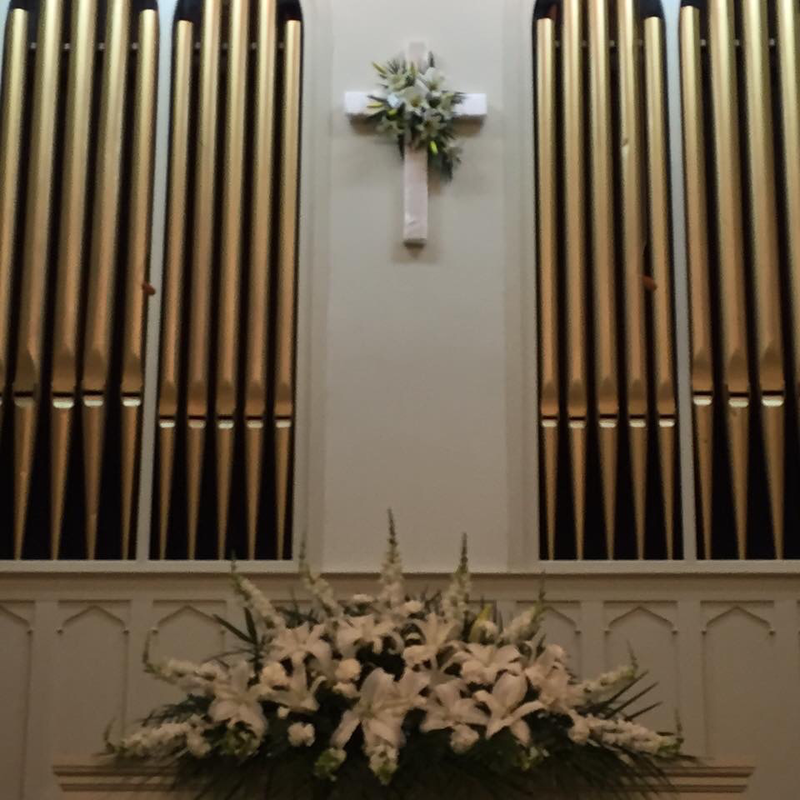 Members of the congregation who have entered the ministry include: Joseph Campbell, Ben Rice (USN Norfolk, VA, Chaplain), J. Judson Alford, Ellis Easterly (Baptist), Robert Markham, and Johnathan Woodring. A member of our congregation who gave his life in service to his country: Craig Ralston, Jr. during World War II. 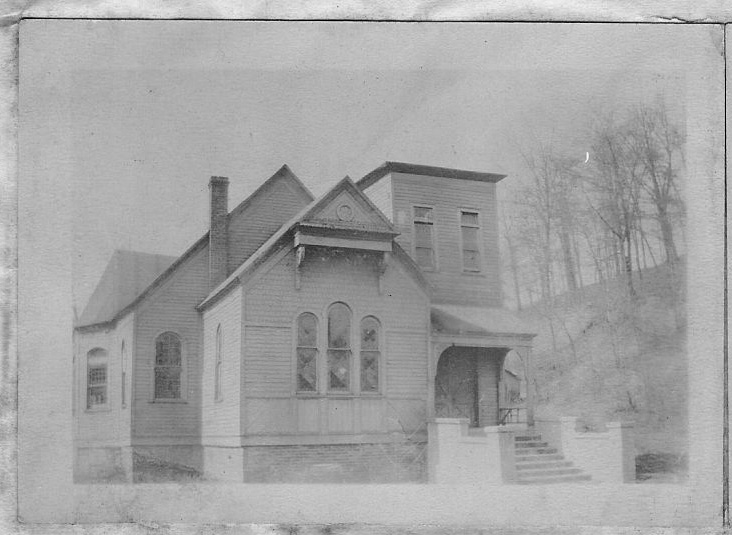 Sunday School located at a mining camp from 1939-? The Centennial was celebrated August 4, 1989 during the pastorate of Rev. Edwin Hanna. The principal speaker at the celebration was Rev. Robert D. Miller, Director of the Education and Congregational Nurture Ministry Unit. His father was Francis Pickens Miller, a pioneer in the ecumenical movement, and his grandfather was the church’s organizing pastor, Rev. Henry Miller. An estimated 150 persons gathered for the morning and afternoon services. Among those in attendance were the church’s oldest members, sisters, Mrs. Emma Ralston and Mrs. Ruby Gault, who joined the church in April, 1909. During Rev. 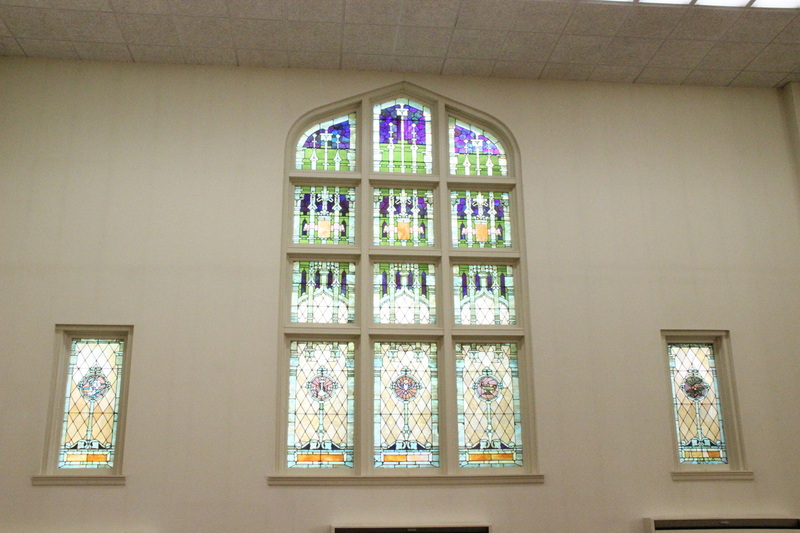 Phil Price’s pastorate, extensive work was done to improve the comfort of the sanctuary. Using monies from a "new church building fund," new dry wall and insulation were added to the sanctuary walls. Ductwork and a new heat pump/air conditioner were installed for the sanctuary. New carpeting and pew cushions were added. 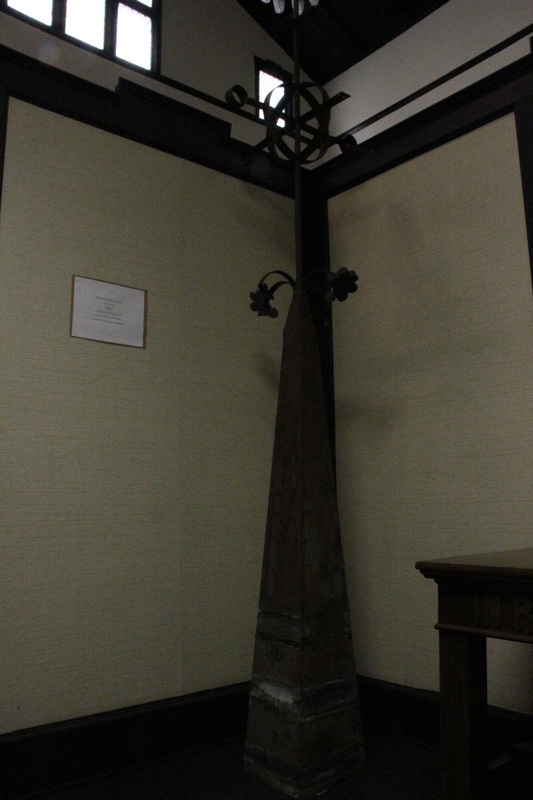 After examination by a structural engineer, the Church Steeple had to be removed in 2012 after it had been damaged during a violent thunderstorm. The hundred year old slate shingles fell from the structure onto the ground. During removal, the remaining slate shingles and the metal portion of the steeple were preserved. It was the wish of Wynunne McCamy Anderson (baptized as an infant in this church at 2 weeks old in 1915) to have the downstairs dining/fellowship area improved. Funds left to the church from her estate paid for the new paint and improvements downstairs. The Pastor’s office, secretary's office, parlor, and nursery also received new paint, carpet, upholstery in 2013. Mrs. Richard M. Barry (Hattie Hambright), who had been the church organist, gave her Pilcher Pipe Organ (Valued at $5000) to the church in 1939. An addition and accommodations to the building were made to house the pipes and blower. 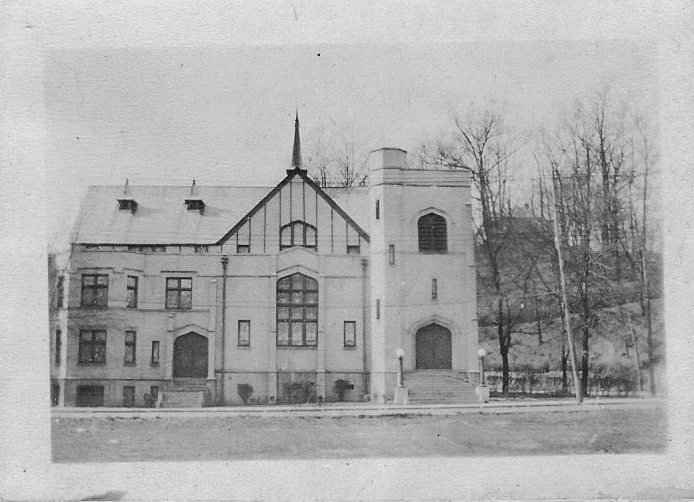 The addition and organ were dedicated March 1939. Funding came in part from the Robertson (Music) Fund established at the time of Dr. L.L. Robertson’s death in 1924. The organ console and the pipes have been refurbished twice. The first time was in 1989 by the Rigsby Organ Co., Knoxville, TN. The cost was $7,128.50 and it took 45 days to rebuild the console and install new pipe ranks. The second time was a five month period between November 2006- April 2007 by the Miller Organ Co., Louisville, KY. The cost was $43,322 to do extensive work to the console and pipes, going from pneumatic to solid state system. Material for this account was taken from the Historical Survey for the Transylvania Presbytery 1977; Edwin Hanna’s Centennial Celebration Report; Wade Hall’s article “Presbyterian Work in the Kentucky Mountains: A 19th Century Sampler,” published in Appalachian Heritage 1985; Presbyterian Women's History of the Church compiled by Mrs. H.H. Sprague, Church Historian; and recent church records.